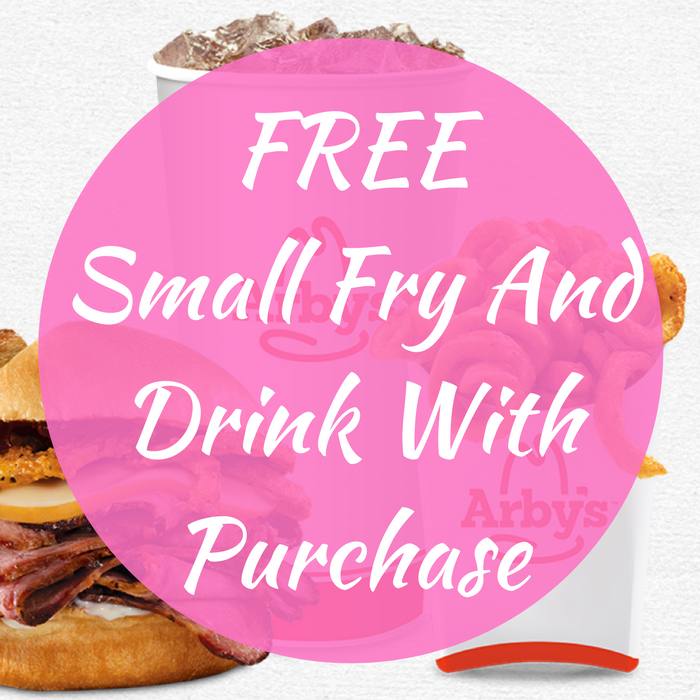 FREE Small Fry And Drink With Purchase! You are here: Home / FREEbies / FREE Small Fry And Drink With Purchase! Until July 11! Head over to Arby’s to score a FREE Small Fry And Drink with the purchase of any Triple Thick Brown Sugar Bacon Sandwich at full-price! You just need to print this coupon to get your FREEbie! Enjoy!